The Yahoo chat service was introduced on 9 March 1998,which was very popular in those days. Slowly there was decline in user base eventually, with several new services rising to the fore, including Google Talk, social networks like Facebook, and smartphone chat apps like WhatsApp. Yahoo had announced a new version of Yahoo Messenger for mobile, the Web and in Yahoo Mail on the desktop in December 2015. 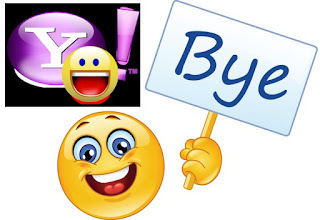 Yahoo might integrate new features in the new version of Yahoo Messenger to compete with other messager services.The company said that the new version will be available on Windows and Mac. The “Archived messages” that are now saved in the user’s Yahoo Mail, will also get deleted by August 5. Users can export them to laptop/desktop before the said date. Another service that gets discontinued is Yahoo Recommends. This will disappear by September 1, 2016. Instead, the company has asked the users to use Yahoo Gemini, a new monetization tool that provides publishers access to native advertising technology and high-quality ads.